Introducing the first booster pack for Karma Deck: Requiem! 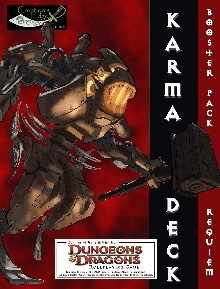 This booster features 24 new Karma Deck cards for 4th Edition Dungeons & Dragons. This title was added to our catalog on October 16, 2010.